These “athletic traditions”, be it noted, date back many years before the founding of the SAAA. Indeed it is probable that the founders of the Association gained inspiration from this sports meeting held uder University auspices hard by Corstorphine in the ‘seventies of last century, and in which the competitors still preserved the associations of their schools, such as Merchiston, Loretto, Fettes, Blair Lodge, etc. Later with changing conditions, the Schools featured no longer in the Varsity Sports. As a separate promotion the Inter-Scholastic Games had a chequered existence, and after languishing for a few years in an atmosphere of apathy they disappeared from the sports calendar in 1885. An attempt to revive their former glory was made five years later (1890) but met with little success. It was not until 1890 that Mr EJ Comrie Thomson, then President of the SAAA, stimulated by the enthusiasm of Mr DS Duncan, the Hon Secretary, succeeded in inaugurating the present series of the Games. No break has occurred since that year, although endeavours have been made from time to time to discontinue the Games on two grounds: (1) That they did not fulfil their object of introducing schoolboy competitors to senior athletics; and (2) That the yearly deficit incurred by the Games was too heavy to be borne by the Association’s finances. When one recalls such names as LJ Dunn, J Crawford, T Riddell JG McColl, RD Allison, AM Murray, AF Clark, JB Bell, in connection with Inter-Scholastic honours, the first contention of the above arguments seems disproved, while the financial burden incurred must be regarded as a necessary expenditure in the best interests of amateur athletics. On the suggestion of JG Ker, LLD, an ex-president of the Association, the Schools Championship feature was omitted from the scheme of competition in 1906. 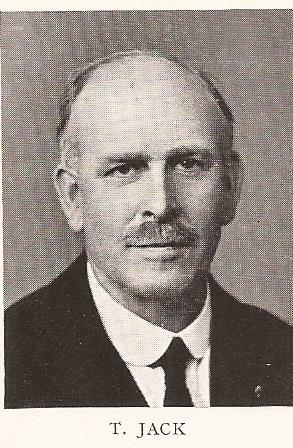 Later, in 1912, Mr C Symington, Stewart’s College, was successful in his proposal to raise the third grade of the competition from 13 years to 14 years, at which it still remains.